Mission: I'm providing tools to better understand natural phenomena, in particular infectious diseases. As an emerging field of research, infectious disease dynamics stands at the cross-roads of disciplines including virology, microbiology, population biology, ecology, mathematics and computer sciences. In contrast to epidemiology, where the spread of an infectious agent within a population of susceptible hosts is studied, infectious disease dynamics focuses on the spread of a pathogen within the body of individual hosts. 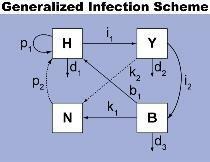 A hallmark of nearly all infections is a rapid turnover of the infectious agent. 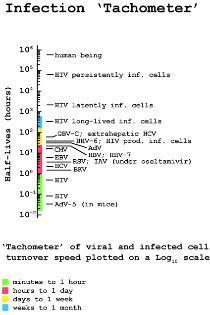 Paradigmatic examples of the clinical impact of this new approach to better understand infectious diseases are provided by the study of Human Immunodeficiency Virus infection, where fast HIV replication dynamics were shown to correlate with the risk of progression to acquired immunodeficiency syndrome (AIDS)- defining disease states.